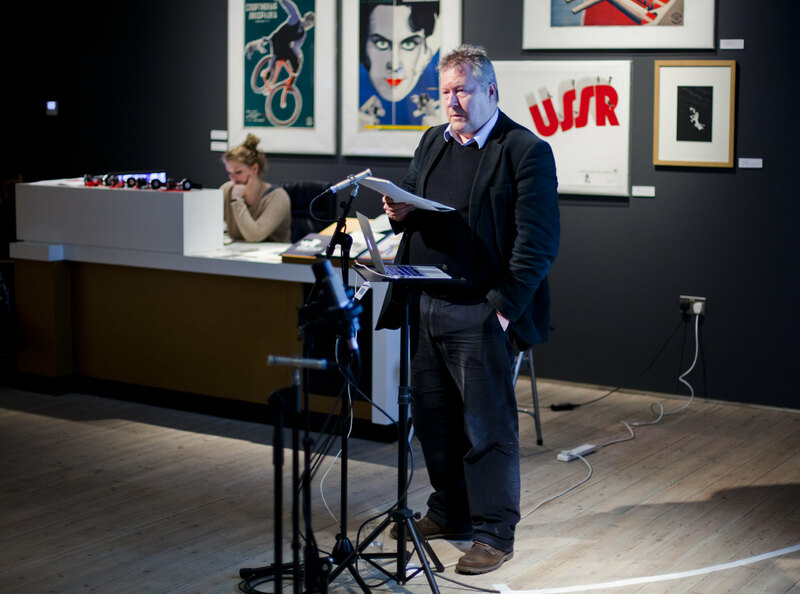 Dr Philip Cavendish spoke at the recent GRAD Eisenstein exhibition on the introduction of colour film to Soviet cinema. The overarching title of the Gallery for Russian Art & Design’s (GRAD for short and based in Little Portland Street, London) series of public lectures this Spring is a play on the well-known slogan, ‘A Cinema, Understood by the Millions’. This became associated with Soviet cinema of the 1930s. Since the drawings of Sergei Eisenstein are the subject of the exhibition currently being curated at GRAD, it might be worth pointing out that the title also makes reference to the title of a newspaper article which Eisenstein published alongside Grigorii Aleksandrov in early 1929. Entitled ‘Eksperiment, poniatyi millionam’ (An Experiment Accessible to Millions), this was published in the film journal Sovetskii ekran to accompany the release of the film Staroe i novoe (The Old and the New) – also known as General’naia Linia, which they had directed together. By suggesting that colour cinema was an ‘experiment understood by very few’, I don’t mean that Soviet audiences experienced conceptual confusion in relation to the phenomenon of colour. Instead, it is that the complexity of the scientific processes that underpinned the development of colour technology was generally grasped poorly. This is true of the direct consumers of film culture, the vast majority of film critics and correspondents who reported on that culture, the senior managers and employees of Soviet film studios and the bureaucrats that were responsible for the film industry as a whole. This lack of comprehension had dire, if not tragic, consequences for some of those involved in colour-film production in the Soviet Union. It also produces significant challenges for the film historian who seeks to understand the phenomenon and its implications for the development of Soviet cinema and Soviet culture more broadly. Joanna Szostek, a Mellon Foundation postdoctoral fellow at UCL SSEES, considers the implications of Western proposals to fight Russian propaganda. She argues that injecting Western government money into Russian-language news content could backfire. An information war is raging in Eastern Europe; at stake are perceptions of the situation in Ukraine. In both Russia and the West, the commentariat claims the other side manipulates gullible minds with propaganda. Vladimir Putin on Russia Today. Photo: Wiki Commons. In mid-May, Russian television ran a six-minute report about “battle formations” pitted “against Russia” on the internet and airwaves. By this it meant the volunteer Information Army established by the Ukrainian Information Ministry and the “myth-busters” Brussels hopes to recruit to defend its Eastern Partnership initiative against Russian disinformation. 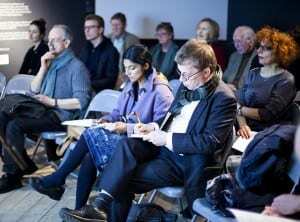 A week later, the Latvian capital Riga hosted a conference where hundreds of journalists and assorted experts discussed how to counter the “Russian information threat”. EU officials were in attendance, promising tens of millions of euros to support “free media” across the six Eastern Partnership states.